Welcome to the Cobblestone Inn & Suites in Eaton, Colorado. 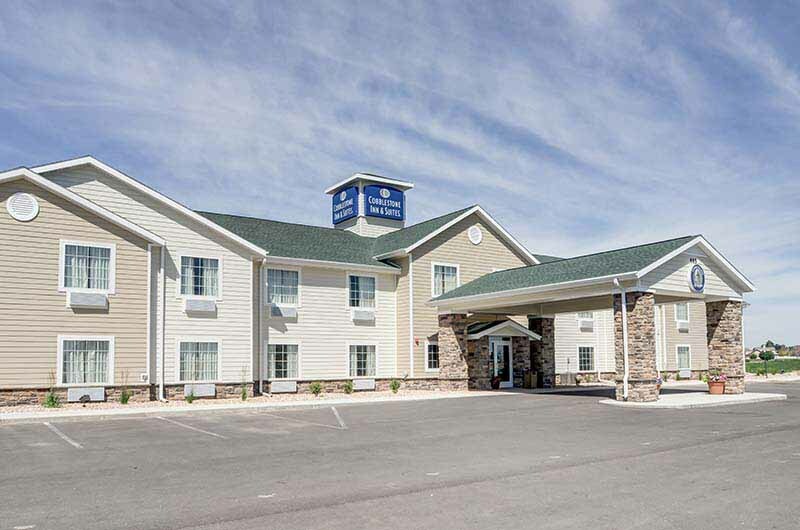 Our beautiful hotel is conveniently located near everything that Eaton, Colorado has to offer including Faith Lutheran Church, Eaton Commons Park, and more! Our hotel provides easy access for traveling to and from U.S. Highway 85. Our hotel is located north of Greeley, Colorado, east of Fort Collins, Colorado, and within 75 miles of Denver, Colorado. In town for business? The Cobblestone Inn & Suites in Eaton, Colorado offers easy access to Harsh International Inc, Agland Inc., ABC Accounting, Harper Livestock, Adceptional Promos, American Collection Systems, Bank of Colorado, Agfinity, Brunner Publishing, Amalgamated Sugar Co., Carson Trailers, Coalson Construction, Countrywide Insurance, Diamond K Auctions, Governor’s Ranch, Rudd Sprinkler Company, and much more! In town for some fun? Check out Eaton Country Club, Steven’s Grill, Victoria’s Tiny Tea Room, Asagio’s, Eaton Pizza & Subs, Cowboy Corner Café, Carolyn’s Antiques, Lone Tree Antiques, and Alley Arts & Collectibles.